Rumors and leaks about the Sony’s upcoming supposed PlayStation 4 virtual reality headset have been around for quite long now. Earlier, we reported that based on speculations, it was predicted that Sony might announce the PlayStation 4 virtual reality headset at Consumer Electronics Show 2014 but the manufacturer did not make any such announcement. However, a report came in recently that claims that Sony’s new virtual reality headset for PlayStation 4 is set for GDC 2014 reveal. The most awaited virtual reality gaming device after Oculus Rift is Sony’s PlayStation 4 virtual reality headset. Despite the fact that it has not been officially announced yet, it is certain that virtual reality for PlayStation 4 is inevitable. Rumors and leaks have been suggesting since last year that Sony is working on a device that will offer enhanced and real-time next-gen experience to PlayStation 4 users by providing immersive gameplays in virtual reality. Other than the one mentioned above, a number of sources have recently claimed and hinted that virtual reality headset for PlayStation 4 is nigh. The most considerable source that is worth checking out is TechRadar’s. According to the recent report by the site, Sony is all set to officially announce the PlayStation 4 virtual reality headset during Game Developers Conference 2014 that will take place in San Francisco. According to TechRadar, a confidential “insider source” claims that they have tested the PlayStation 4 virtual reality headset and it looks like it is ready for action. The tipster said that Oculus Rift’s upcoming competitor is a strong and lively, they said that “The quality and resolution are really, really good. People will definitely be impressed with what Sony’s built.” PlayStation 4 virtual reality headset will reportedly be announced during GDC 2014, which will kick off on March 17. 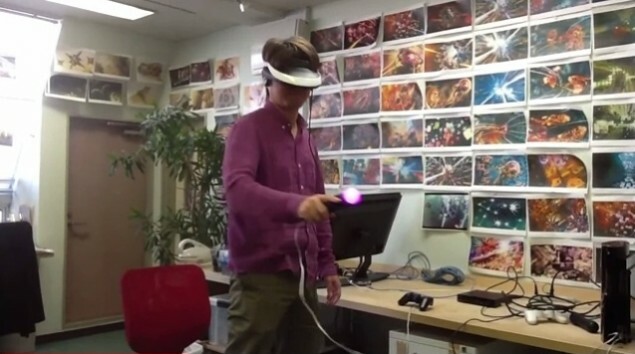 At first, Sony’s supposed gaming virtual reality headset was expected to be announced at Tokyo Game Show in September 2014 or at Gamescom in August 2013, but Sony did not proclaim anything regarding the headset. According to the source, that is because Sony did not want to announce an unfinished product, the company wanted some time. But now “Sony has deliberately taken its time to tweak and polish the headset before revealing it,” says the source. On the other hand, Oculus Rift is still in its development stages but it was released to developers as prototype for testing purposes. Sony is not new to head-mounted displays, the company has already released a few head-mounted personal displays for consumers. 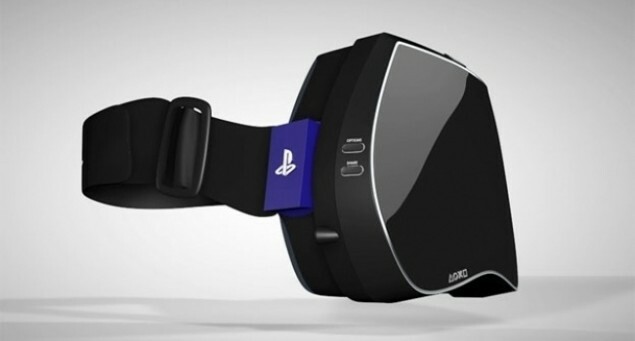 The upcoming PlayStation 4 virtual reality headset is said to be specifically designed for gaming purposes. Sony’s headset will compete with Oculus Rift virtual reality headset that is being developed by Oculus VR and is already very famous among developers and gamers.